Following on the heels of my post announcing the Pantone color of 2019, the 5th annual Pantone Quilt Challenge 2019 was announced by Bryan House Quilts.com. As the 2019 color of the year is “Living Coral”, I was star struck and joined the challenge on Instagram inside of a breath. Week 1 completed! The rules are fairly simply: the quilt must contain Living Coral as the feature color of the quilt. There are 4 categories: Minis (shortest side under 30″), Quilt (completed baby to bed, shortest side measuring at least 30″), Just -The-Top (any size quilt top, shortest side must be at least 30″) and For Exhibit Only (non-judged). The challenge runs from March 21st through June 14th, 2019 with the link party open during the last 10 days (June 5th – June 14th). All entries must have been been completed in 2019. Week 2 post: Inspiration….I had recently stumbled upon work completed by Carol Ruth Armstrong, published in Home Quilt Show magazine many years ago. I find her work to be both whimsical and delightful to view. It puts a smile on my face every time I look at it. She uses flowers, a feeling of warmth as well as movement. Carol uses free motion and/or quilting with a walking foot which I thoroughly enjoy as well. Who can resist? Though I admire her work, our styles are vastly different….as you will see! Week 4: The Sketch! …reaching for my sketchbook and tools as I type this…..
Mark your calendar to check back here in a few days for the reveal….I’m planning to make use of what I believe to be an antiquated technique in assembling my quilt…can you guess? As coral is a long time favorite color of mine…my mind immediately began gathering palettes that serve to compliment the color. as I identified the colors I believe compliment coral and yet allow it to sing from the heart. 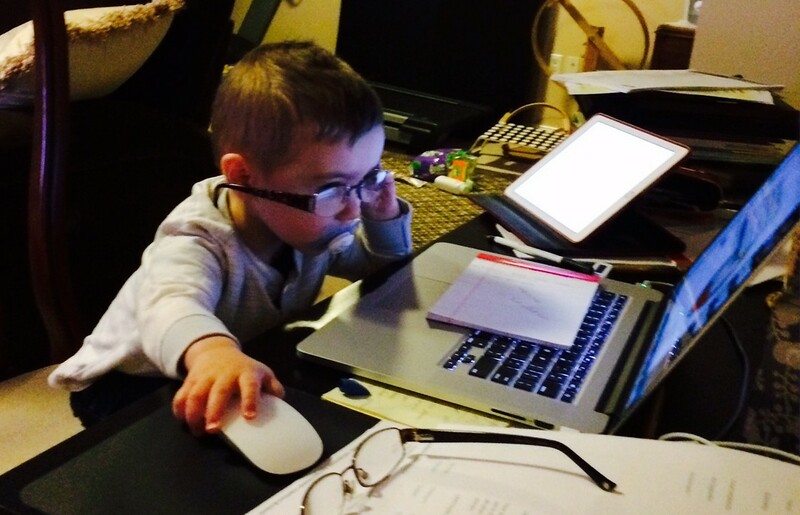 Hunter….my trusted assistant…I’m in good hands as he’s a keen observer and opinionated. If you’re here and reading this post, then you know the sound of inspiration when it calls to you. Any moment I allow my mind to wander, I find myself looking about for unique color combinations, particularly environmental colors, landscape features that capture my interest and mentally sifting through techniques that would help to recreate the current view. I’ve learned the value of keeping a journal close at hand in order to note what has caught my interest, to document my thoughts, loosely sketch and/or list a technique or two. Typically I take a few photos with my phone, always looking to capture the essence of the texture, and note the date in my journal as well. Here is a detail photo of a much larger photo I had taken while on a vacation. Oh the color…and the possibilities! photos, fabric, websites such as Pinterest, store windows, views from my own windows, books, magazines and most recently my own sketches inspired sometimes simply by a mood I’m trying to create. Most often what excites me is a small detail that makes its way into the “bigger picture”. One of the tools I’ve been using to paint fabric are simple paint chips from home improvement stores. They offer the opportunity to discover just the right color to paint your fabric and ability to determine companion colors without yet putting brush to fabric. Sew many ideas! Where do you find inspiration? …two elements of a person’s character that you don’t know are there until they’re called upon. I first began submitting my quilts for judging with the Connecticut Piecemakers Quilt Guild…”my” guild. The women, and 3 men, in this guild represent some of the most encouraging and talented quilters I’ve had the pleasure to work alongside. Their desire to share their knowledge, resources and, believe it or not, their fabric is unparalleled. That said, I challenged myself to volunteer during the judging for the 2016 guild quilt show so that I would hear the critique of the judges as they held my quilts in their hands. I actually stood next to the two judges and heard their whispered comments to each other. Yikes! Four of the six quilts I entered subsequently won ribbons but what I really won was the perspective of two judges as they held my quilts in their hands. I had a lot to think about…particularly whether I was quilting to please me or them. The comment of “needs more quilting” in certain areas rankled me as I had planned the stitching very carefully. It took a few days for me to “hear” what they had said. I laid my quilts on the bed one by one and allowed myself to consider…possibly…what they had been referring to…maybe. It took a few weeks for me to realize that what I in fact wanted more than anything was to “measure up” alongside quilters I held in high regard. I began to think about adding more stitching…and believe it or not I liked the results. I took out the comments I had saved from the judges and took their suggestions to heart. When I had finished I liked what I had done. Ultimately I chose to enter 3 of the 6 quilts in the Eastern States Exposition and each of them won ribbons amongst hundreds of quilts from 5 eastern states…a first place, a second place and a third place ribbon……but I love challenging myself. I determined to participate in the 2016 Row x Row Experience. I traveled to 8 different quilt shops to collect the patterns I found the most charming and went to work. I hardly left my sewing studio for the months of July and August last year….and again I took the judges suggestions to heart. Each of the 8 rows was quilted with a different stitch pattern with a variety of threads. I designed and quilted the 9th row myself. What I loved most about the entire experience was taking the basic look of the patterned row and making it mine with embellishment, quilting and threads. Out came the bravery and courage and I entered it in the Big E…I’m proud to say it won Judge’s Choice!….the elusive ribbon I’ve been reaching for! What fun I had designing embellishments and making the patterns my own. The fabrics on the design wall are all from my Dad’s shirts, the window view in the sewing room is a winter scene rather than a tropical one. All of the buildings in the 4 corner blocks were fussy cut, rearranged and quilted to create a small town feel. My older son, Mark, designed the fencing in the top row on his CAD program and I used confetti quilting to create the autumn trees…and if you look closely you’ll find Snoopy running for his life in the Halloween scene. Never have I enjoyed making a quilt so much! If it’s one thing that excites me it’s using a variety of techniques and materials in the creation of one quilt! Is this what I look like when I’m working on the blog? I left the room for just a moment….he’s fast! I want to let you know about one of my favorite “go to” reads….every chance I get. I came across this site about a year and a half ago and haven’t stopped reading it since. One of the things I value is variety and this site has it in spades! I highly recommend stopping by www.QuilterBlogs.com but be prepared to stay a while. There’s something there for everyone. I’ve purchased patterns, watched tutorials and learned about new techniques from a variety of blogs. There are give-aways, stash busters and blog rolls galore! And yes, my blog has recently been added to this site. Yeah!!! crossing something off my bucket list as you read this.